This girl caught my eye for several reasons. First, the leopard leggings, which she told me used to be her mom's and are about 25 years old! the coordinating socks/scarf are also interesting! We heard it's hot in NY, but not here, oh no! We are wearing scarves in August... And she's with the band (or looks as if she is). Would love to pull this off! If the leggins belonged to her mother she should have left it there! I absolutely agree to Hailey!! Bad taste rules the world! 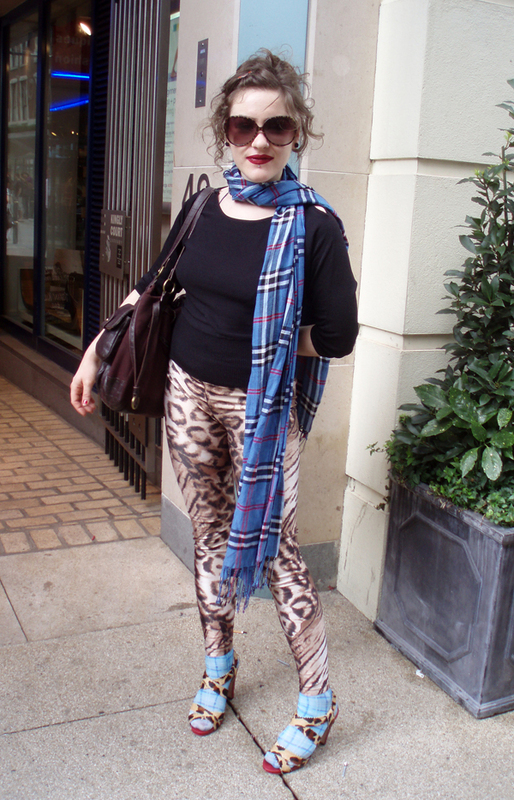 i may be crazy but i am allready wanting the zepra pants ( i am having debbie harry season) so those would be nice too! everything fierce!